2013 served to be a momentous year, a Royal baby was born, the Noble Prize was awarded for the discovery of the "God Particle" Higgs Boson and galvanizing encounters arrived on the scene for E. Randahl Hoey & Associates. Here are a few highlights. Entrepreneurs in the process of becoming Certified Event Planners produced an exciting Health Festival as part of my class at CUNY in the Heights (City University of New York). LET’S BLOOM attracted crowds from the Bronx, Harlem and Washington Heights. Families and friends spoke with health care professionals, a celebrity chef, exercise and massage therapists and even a health insurance representative. Delicious appetizers and beverages were prepared and served by the 17 students. Generous Sponsors included Santander Bank, Healthfirst and CUNY as well as numerous local retailers. 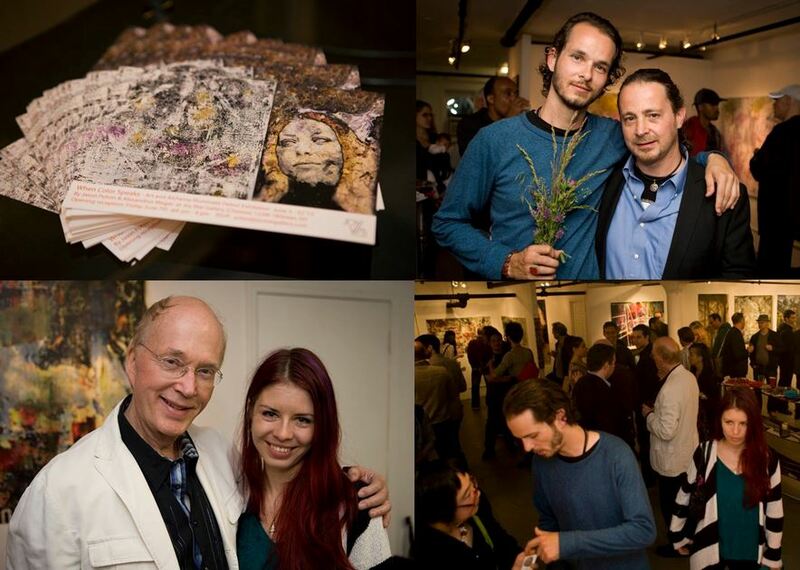 The Manhattan Times covered the event with a sparkling headline, “Springing into health and happiness!”. 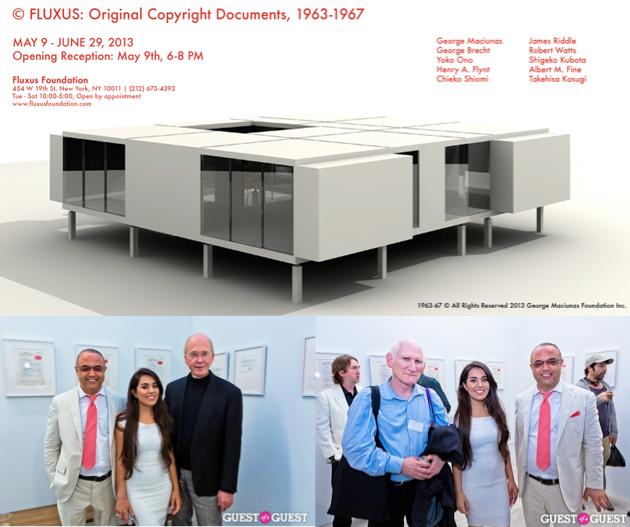 ERH was hired as Consultant for George Maciunas Foundation Inc. via the Stendhal Gallery in Chelsea to help unravel legalities associated with moving forward with the rights to exhibit the visionary and affordable architectural model and designs for George Maciunas’s Fluxhouse. The resulting vintage exhibit featured a modular prefab residence that is not only handsome but can resist hurricanes, earthquakes and flooding. This Launch attracted architects, developers, collectors, entrepreneurs and the press. Subsequently, 5 licenses are being released to build limited editions of the Fluxhouse with updated engineering designs and architectural guidance included throughout the building process. The Museum of Modern Art has also made available its extensive archive of Fluxus inspired avant-garde art, design, poetry and music. Catherine Lin is the co-founder of Nihao Media, a multi-platform Chinese language fashion and travel corporation that publishes the luxury magazine Nihao (Hello!). She is affectionately regarded as the Anna Wintour of China. Educated in Beijing and holding an MA in Business from UCLA, Ms. Lin has created an international client base of fashion and luxury corporations that cater to her high-end Chinese readers. In discussion for premium subscribers are plans for curated tours of New York art galleries and meetings with celebrated fashion designers. It was a delight to engage in a conversation with Ms. Lin for Art Search, the televised series that reaches 400,000 viewers around the globe. ART, LIFE & the U.N.
Joy Wai Gallery, Chelsea, contracted me to produce, along with Monty Taylor (television producer of Celebrating Art) the debut of Art Talks at the United Nations Plaza. Innovative New York artists were presented to the international community via vibrant in-person interviews along with live and video presentations of their cutting-edge art and sculpture. A wine and hors d’oeuvres reception followed so that the audience and collectors could spend time getting to know the artists as well as Joy Wai herself. Joyce Chasan is a leading Park Avenue gallery owner in New York. Her Art Source International is known for its innovative exhibits and for the care and respect it extends to both artists and clients. Ms. Chasan was one of the first to recognize the intrinsic value of graffiti. She championed its rise from disfiguring street art to gallery worthy prominence and was also instrumental in helping it gain international appreciation and acceptance. She smiles at the memory of making early morning breakfasts for hungry street artists who piled into her tiny New York kitchen for pancakes and waffles. I was pleased to serve as host and interviewer for Ms. Chasan’s appearance on the worldwide television series, Celebrating Art. I was invited to serve as Ambassador at Tiffany & Co. in their newly opened SoHo location. The artistically crafted interior design attracted a diverse clientele from residents living in one of New York’s hippest communities as well as surprised tourists from other countries. My event planning, language and social skills were offered to ensure that each customer would have a memorable Tiffany shopping experience. Champagne events and Fourth of July lemonade brought the SoHo experience into the Statement Jewelry Salon and Fashion Collection that gave customers a refreshed look at a legendary, 177-year old American multinational brand name. No memorable event is complete without a video highlights reel that can be replayed endlessly for family and friends. Such was the opportunity presented to me to supervise the filming and editing of an East Village wedding held at a deconsecrated synagogue that has been transformed into a remarkable event space. The challenging fun was to overcome dark lighting, spilled champagne and splattered candle wax and capture the playful spontaneity of bride and groom cutting loose with relatives and guests to celebrate a once in a lifetime event. We hope! The secret of giving was the driving idea behind Santa Comes to CUNY, the central focus of my Management of Event Planning Certificate class. Nearly 200 people were greeted with red and green herbal beverages and student prepared nibbles. Guests brought to Santa over 100 gifts for young patients at Montefiore’s Hospital Pediatric Emergency Center in The Bronx. Myself and several students drove through our 1st snowstorm to personally deliver toys, dolls, and games. The ER medical staff, parents, and particularly the children were surprised to see us. We were greeted with laughter and hugs. This is a special event that will be cherished by all. Friends call me the Slasher, (Director/Writer). So as not to disappoint them the year was topped off as I reconnected with my Blog and wrote reviews of the amazing films that were generating Oscar Buzz. This was made easy because I’m a member of the Directors of Guild of America. Since we vote for Best Director my Guild arranges frequent end-of-the-year screenings with Q&A’s featuring the leading directors so that we can vote intelligently. Check out my hits and misses of the 86th Academy Awards. 2014 is starting out with a bang, stay tuned!